DIE CASTING is suitable for applications that require good surface finish and dimensional consistency. The main die casting alloys are: zinc, aluminium, copper, magnesium, lead, and tin etc. Manufacture of parts using die casting is relatively simple, which keeps the incremental cost per item low. It is especially suited for a large quantity of small to medium sized castings. If you want to find a reliable die casting company, Jevny will be your best choice. Jevny Die Casting Company was established in 1996 in Shenzhen, China, producing die casting parts for Original Equipment Manufacturers for their products. We use exclusive vacuum die casting systems and automated machinery to produce high quality and integrity aluminum and zinc die cast parts. Engineers and production staff will develop a high pressure die casting process that will manufacture parts economically and with reliable quality. Our low pricing on die casting molds and die cast parts, extensive experience in die casting, and large in-house capabilities has allowed us to beat the competition, domestic or overseas, for over10 years. Our low pricing on die casting molds and die cast parts, extensive experience in die casting, and large in-house capabilities has allowed us to beat the competition, domestic or overseas, for over 10 years. Jevny Die Casting Company produces parts for many customer types, trying to stay as diverse as possible to prevent any one market segment from effecting the production and sales. We assist manufacturers who require die cast parts, who are belonged to the industries of automotive, appliance, communications, small engines, garden, housing, transportation, military, aerospace, lighting and aircraft. Customers can get die cast parts with competitively priced, on-time delivered and free defects from us. In many cases, we can add value to our customer's products. Added value would be secondary operations such as machining, powder coating, painting, plating or assembly and packaging. 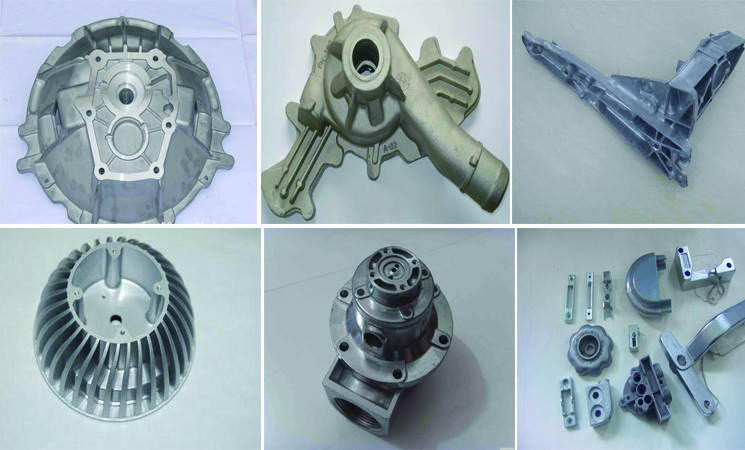 Jevny Die Casting Company is a full service rapid prototype supplier offering much more than die casting. Please visit our SERVICE PAGE to know more about Jevny. Discover what makes Jevny Die Casting Company an elite Chinese die cast manufacturer for companies in all types of industries. Contact us online or at +86-755-27215655 for more information on our cutting edge die casting technologies.